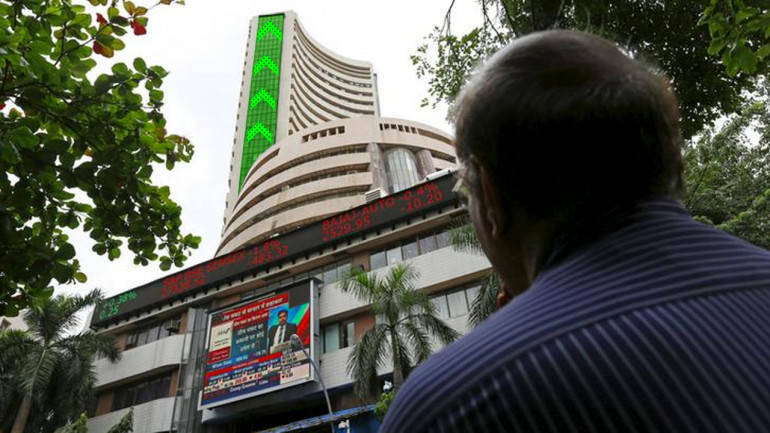 Strong global cues and domestic macro data acted as tailwinds and helped Nifty to scale fresh record highs on Tuesday. Nifty50 surpassed its previous record high of 11,761 recorded on April 3 and made a fresh life high of 11,810.95 in the afternoon trade on April 16. Nifty closed the day at 11,787.15. The S&P BSE Sensex rallied over 400 points to hit a fresh record high of 39,364.34. However, it closed 369.80 points lower at 39,275.64. Sectorally, banks, capital goods, energy and FMCG indices rallied while selling was seen in real estate stocks. Asian markets were mixed but were hovering just below 9-month highs. Strong export and banking data from China last week eased investors’ concerns about the health of the world’s second-largest economy, said a Reuters report. The US-China trade dispute, signs of slowing global corporate earnings and business investment have all put pressure on riskier assets in the past year, so investors have been quick to lap up positive news, added the report. A slew of macro data which came out on April 15 also added to some tailwind to Indian markets. Wholesale price-based inflation rose for the second consecutive month to 3.18 percent in March on costlier food and fuel, government data released Monday showed. Experts feel that even though WPI inflation inched to 3.18% in March due to a rise in food prices it is still below RBI’s comfort level. IMD’s first official long-range forecast indicates `near normal’ South-West monsoon which would come as a relief to the Street after Skymet predicted below-normal monsoon due to developing El Nino. “India Meteorological Department’s forecast of a near-normal monsoon in 2019 should ease some pressure on inflation. Also, the manufacturing and core inflation continues to be benign,” Dr. Sunil Kumar Sinha, Principal Economist, India Ratings and Research said. “India Ratings and Research, therefore, believes further rate cut by the RBI would largely depend on whether the aforesaid risk to inflation materializes or not,” he said. India's trade deficit narrowed to $10.89 billion in March from a year ago, helped by a rise in exports, the trade ministry said in a statement on Monday which eases fears of current account deficit. The trade deficit was USD 13.51 billion in March 2018. "The combination of weak global and domestic demand should ease exports and core imports, and ameliorate current account deficit (CAD) pressures. However, higher oil prices are an upside risk– we estimate that every USD10/bbl rise expands CAD by 0.4% of GDP," said a Nomura report. "Overall, we expect CAD to ease to 1.6% of GDP in Q1 from an elevated 2.5% in Q4, and average ~2% of GDP for the rest of 2019 versus 2.4% in 2018," it said. The Nifty Bank is still 200 points short from its peak but it helped the Nifty50 to claim fresh record highs. The gains in the index were led by ICICI Bank, IndusInd Bank, Axis Bank, SBI, and RBL Bank. ICICI Bank rallied after Goldman Sachs maintained its buy rating but hiked its target price to Rs 492 from Rs 451 earlier. The global investment bank sees a turnaround in the corporate business. It expects the bank to deliver RoA and RoE of 1.8 percent and 17 percent respectively over FY20-21. In terms of earnings, private and public banks are expected to report a strong set of numbers led by lower provisioning and write back of provisions in certain cases due to resolution under IBC, suggest experts. Credit growth has remained strong and recovered to five-year highs of ~14.5% YoY, driven by growth in the retail segment, they say. The Nifty after hovering in a tight range of 11550-11700 levels for the past eleven sessions finally broke out of the range on Tuesday as the index hit a fresh record high of 11784, and is on track to hit 11900-12000 levels, suggest experts. The index was seeing immense support at lower levels which suggested that it is a matter of time before the index breaks past its earlier record high of 11761 which was recorded the beginning of April. "Strong rejection at the lowest level of the Doji formation helps the market to move higher. The probability of Nifty hitting 11,770 has turned bright. Again on the higher side, 11,750-11,760 would attract level-based selling in the market," Shrikant Chouhan, Senior VP (Technical Research) at Kotak Securities told Moneycontrol. "However, break and close above the same would lift the sentiment grossly on the positive side. Above 11,760, Nifty would rally to 12,000 with a minor resistance at 11,900," he said.